In December of 2017, the president illegally reduced Bears Ears and Grand Staircase-Escalante National Monuments by nearly two million acres. Despite overwhelming support from the majority of Americans, nearly three million of whom spoke up during a public comment period in favor of protecting our national monuments, the president invoked terms like “heritage,” “respect,” “glorious natural wonder” and “protection” to substantiate the announcement. What wasn’t explained at the time, and only came to light with the release of thousands of pages of documents from Freedom of Information Act requests, was that the decision was nothing more than a political favor. 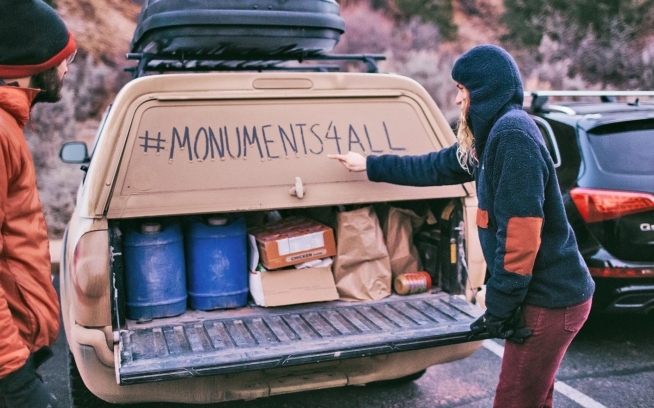 Despite numerous promises by a handful of politicians that the two former monuments contained no significant energy resources, it turns out that they do. The redrawing of boundaries was deliberate, and directly influenced by an industry that spends millions of dollars lobbying the government to get what it wants. 11.4 billion tons: The estimated amount of recoverable coal contained in the Kaiparowits Plateau, which is situated in the heart of the original Grand Staircase-Escalante National Monument. It’s the biggest coalfield in Utah and one of the largest in the country. “The Kaiparowits plateau, located within the monument, contains one of the largest coal deposits in the United States,” says an Interior Department memo, issued in the spring of 2017. 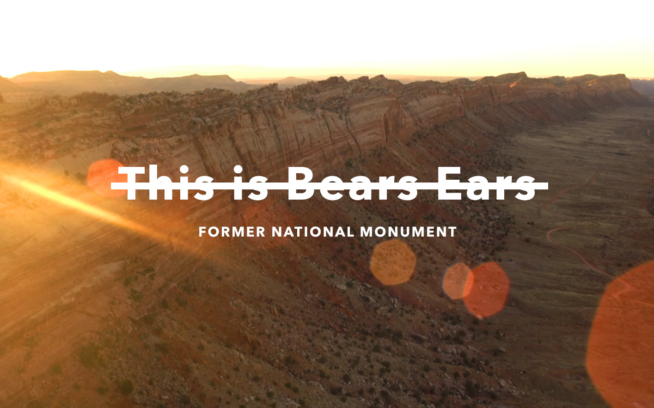 90,000 acres: The number of acres of new oil and gas leases that the industry has expressed interest in along the eastern boundary of the original Bears Ears National Monument. 500,000 tons: The amount of increased production of uranium mining over the next 20 years in and around the original Bears Ears National Monument if new permits and expanded operations are allowed. 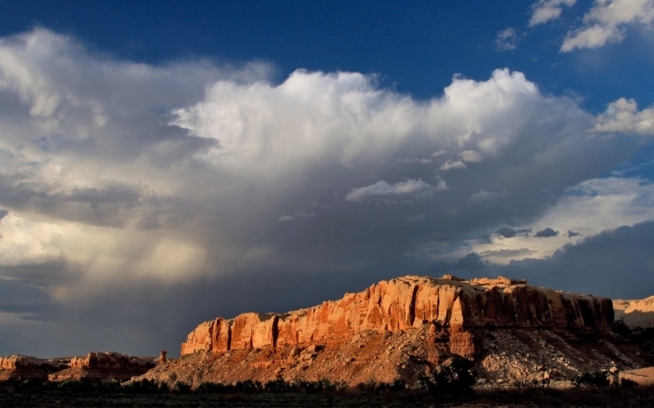 This could particularly impact the Navajo Nation’s drinking water reserves, which have already been contaminated by over 500 uranium mines left on their lands. In fact, from the very beginning of the Interior Department review process, agency officials directed staff to figure out how much coal, oil and natural gas—as well as grass for cattle grazing and timber—had been put essentially off-limits, or made harder to access, by the decision to designate the areas as national monuments. Before the public comment period was ever opened, Senator Hatch requested shrinking the existing monument to access oil and gas resources. Secretary of the Interior Ryan Zinke was quoted as saying “We also have a pretty good idea of, certainly, the oil and gas potential—not much! So Bears Ears isn’t really about oil and gas.” But it was about oil and gas. Looking over the maps of the original monuments when compared to the redrawn versions that exist today, it’s obvious that the design of each was motivated by access to these resources, and many of the decisions that were made were put in motion long before the administration ever opened up a public comment period. But this fight is far from over and we need your help. Patagonia has taken the Trump administration to court and we’re confident his actions will be overturned. But it is your voice and your vote that are the two most important tools we have to remind elected officials that Americans—everyone from sportsmen and women, to outdoor enthusiasts, to conservationists and the tribes who have known these lands longer than anyone—want public lands protected. Stay active and informed through Patagonia Action Works and this November, in the voting booth, we’ll fire the politicians selling off our lands to the highest bidder. Private companies shouldn’t be profiting from the destruction of our most extraordinary wild places. Thanks to our partners at the Outdoor Alliance GIS Lab, for providing the map data and analysis on coal, oil, gas and uranium potential in the original Bears Ears and Grand Staircase-Escalante National Monuments. Visit their story map. Lisa Pike Sheehy is the Vice President of Environmental Activism for Patagonia, Inc. She oversees the implementation of the company’s international environmental grants program which will give away over $15 million this year to grassroots environmental organizations worldwide. Additionally, she leads Patagonia’s multi-year campaigns to publicize environmental issues and mobilize customers. Most recently, Lisa received the Outdoor Industry Women’s Coalition Pioneering Woman of the Year Award. While not chasing around her two young children, she does her best to find time to head to the backcountry to ski, hike and fly fish.